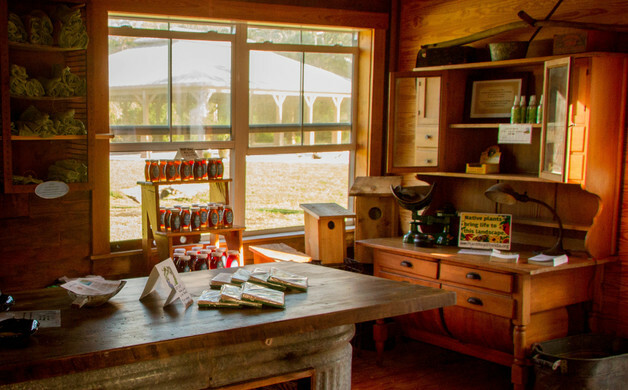 SCCF's Native Landscapes & Garden Center on Sanibel has plants that ward off insects. Photo courtesy of SCCF Native Landscapes & Garden Center. While summer is great, warm months also mean rain and bugs. And lots of fly-swatters. But there are natural and sometimes attractive plants that repel bugs that we can place in our backyards and around the patio. While health experts insist that we use bug-resistant clothing, screens and these plants and plant byproducts in tandem with EPA/Centers for Disease Control and Prevention-sanctioned sprays and ointments, some natural tools for easing the bug are available. Native Americans, after all, used plants and animal fats to keep “musketoes” and ticks at bay. Take, for instance, the carnivorous Venus flytrap. This plant loves to snap its petals on ants, beetles, spiders and many flying insects. The North American sarracenia, more commonly known as pitcher or trumpet plants, is another example of a vigilante plant. Its liquids in short order entrap ants, wasp, bees and moths. The plant digests the remains. Bug-repelling plants can be easily added to a landscape, planted in a garden, or placed in pots by the doorway. Lemon balm, lemon thyme, rosemary, catnip, society garlic and mint repel mosquitoes, for instance. Citronella oil is a byproduct of lemongrass, although the plant itself is an herb used in teas and soups. Other plants that reportedly ward off critters are basil and lavender, each fending/offending moths, fleas, flies and mosquitoes. And the best thing is that many of these plants are hardy. “Basil and lemongrass are very easy to grow here in Southwest Florida, as is society garlic,” says Ken Ellam, chief horticulturist and manager of Bayshore Gardens in North Fort Myers. Shrubs also can help ward off the pests. Sweetgale or bog myrtle keep mosquitoes and other bothersome bugs such as fleas at bay, for instance. Myrtle can be potted or planted as a hedge along a porch or pool. Beautyberry is another shrub with similar properties. A study by U.S. Department of Agriculture’s Natural Products Utilization Research Unit in 2006 discovered that extracts from beautyberry leaves could complement the effectiveness of DEET for repelling mosquitoes. 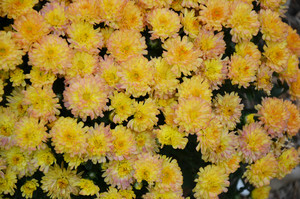 These shrubs are available at the SCCF Native Landscapes & Garden Center on Sanibel. “Along with these two shrubs, we sell over 150 species of plants native to Florida, as well as a few vegetables and herbs,” says Jenny Evans, SCCF’s Native Landscapes & Garden Center manager. SCCF also offers demonstration gardens, classes and tours. Flowers, herbs and plants positioned around your garden, doorstep and patio are natural bug deterrents that can work in tandem with sanctioned sprays and ointments. 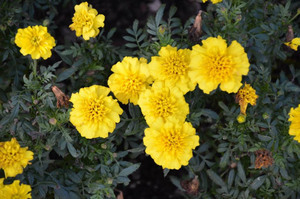 For those looking to add a little color to the garden, marigolds detract mosquitoes, while chrysanthemums reportedly keep fleas, roaches, ants and other bugs from becoming bothersome. Ingredients from these plants―and others such as cinnamon, clove, eucalyptus and citronella―are extracted and used as sprays, or turned into a dust or powder. “The sprays usually work much better in controlling pests than just the plant growing in the garden,” says Stephen Brown, horticulture agent with the Lee County Extension office. Brown notes that pyrethrum/pyrethrins from chrysanthemum and oil from the neem tree are effective bug repelling ingredients. Other suggestions for natural bug controls include homemade sprays of lavender and rosemary. Boil a handful of leaves in a quart of water for 20-30 minutes. Strain and pour the liquid into a spray bottle. Keep refrigerated until ready to use, and discard when the scent is no longer detected. Dried bundles of lavender or rosemary can also be placed around the home to help keep the bugs away. Tied with a pretty bow, they add a nice touch to the home décor. While the effectiveness of home remedies for pesky pests isn’t necessarily scientific, anything that may add to or complement chemical/plant-based repellents such as DEET or picaridin is good idea, certainly a tool in your outdoor patio or in landscaping to assist in keeping bugs from you, your family and your pets. Written by Ann Marie O’Phelan, a Southwest Florida resident and a frequent contributor TOTI Media.